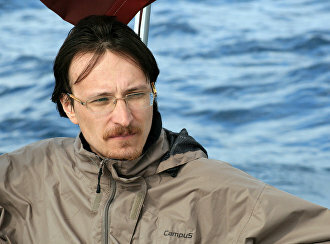 Pavel Filin, PhD (History), Deputy Director for Research, Icebreaker Krasin Museum in St. Petersburg, a subsidiary of the Museum of the World Ocean; Executive Secretary of the Inter-Departmental Commission for Maritime Heritage of the Russian Government Maritime Board. Pavel Filin graduated from the Yesenin Ryazan State Pedagogical University and completed a postgraduate course at the Institute of Ethnology of the Russian Academy of Sciences. He worked for a long time at the department for studying the Solovetsky Islands archipelago and the White Sea of the Likhachyov Research Institute of Cultural and Natural Heritage. He is a member of the Northern Shipping Fraternity and an employee of the Solovetsky Maritime Museum.